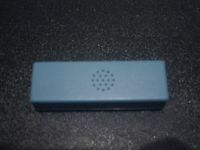 Today we'll be reviewing one of Sunbeams latest products. 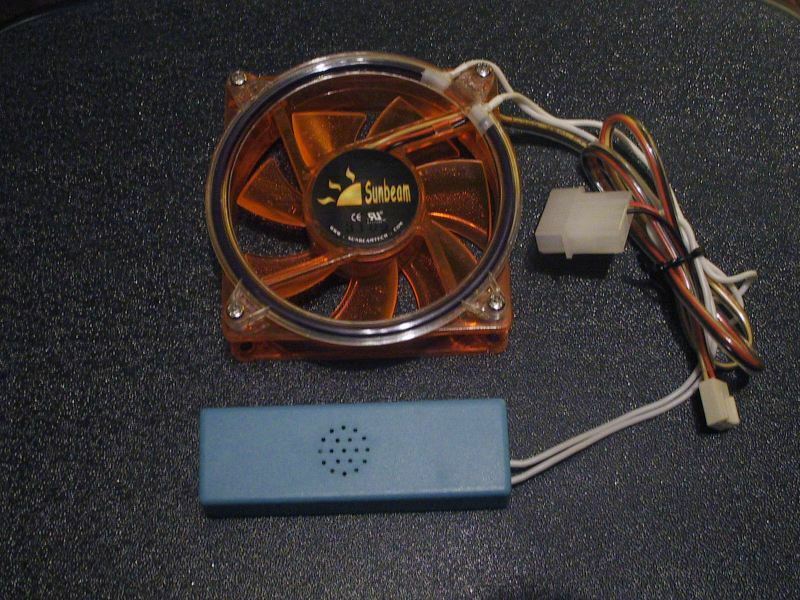 Imagine that you're a manufactor of Cold Cathode lamps (and a few other products) and you're searching to develop a new product, you see a few LED Fans lying around and then you get the brilliant idea to create a Round CCFL tube to fit on fans! Something like this prolly happened at Sunbeam ;) They've released a Blue, Red, Green, Tri color and an UV Round Cold Cathode. The UV CCFL Fan has a few different versions : One that comes with an orange UV reactive fan , one with a green fan and another one with a nice blue UV reactive fan! 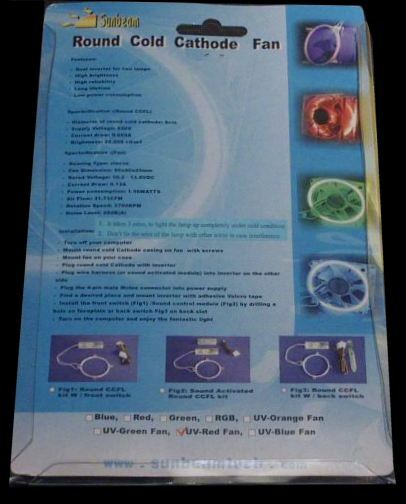 Today we'll be having a closer look on the Round UV Cold Cathode + Orange UV Reactive Fan. There are 3 different versions of Sunbeams CCFL Fan, but the only real difference lies in the way you turn the CCFL on and out. The first I got was one with a pci bracket, on the backside of that is a switch to turn the Round CCFL on or out. 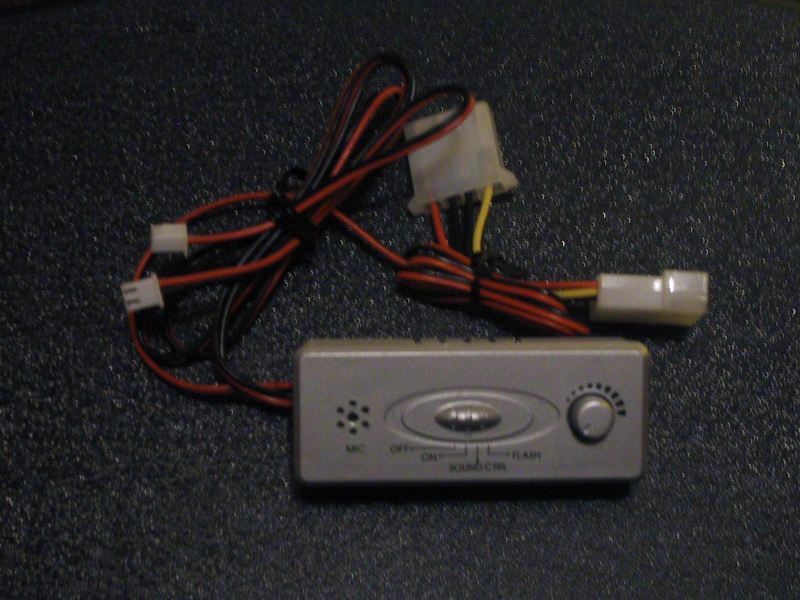 The other version I received was one that get's his power trough a sound module. The sound module Sunbeam used for this is just the same as the one they use for their normal Cold cathode bulbs, more about it can be found in our review of Sunbeams CCFLs . 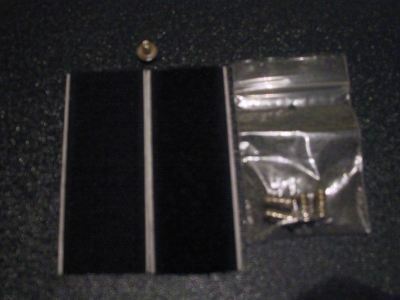 Besides those they also have one with a rocket switch, that could be mounted in one of your empty drive bays. 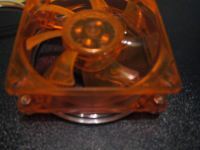 Now let's take a closer look at these orange UV reactive fans which are made from clear orange colourded plastic with round cold cathodes on them. As you can see on the pics the round cathode is mounted with nuts and bolts, a little bit like a fan grill. 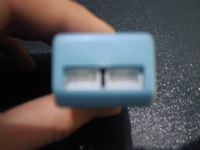 The fan is powered trough a 3 pin or 4 pin connector (but unfortunately no RPM read out). But hey wasn't this a fan with something else on it, ermz a Cold Cathode thingie right? Yes it is, and like you may all know a CCFL requires an inverter. So this adds a little bit more wire mess than a normal fan unfortunately. 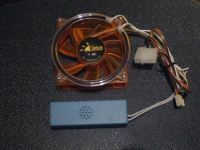 One of the things that I noticed when I plugged this fan in on my test PSU was that I could barely hear it! 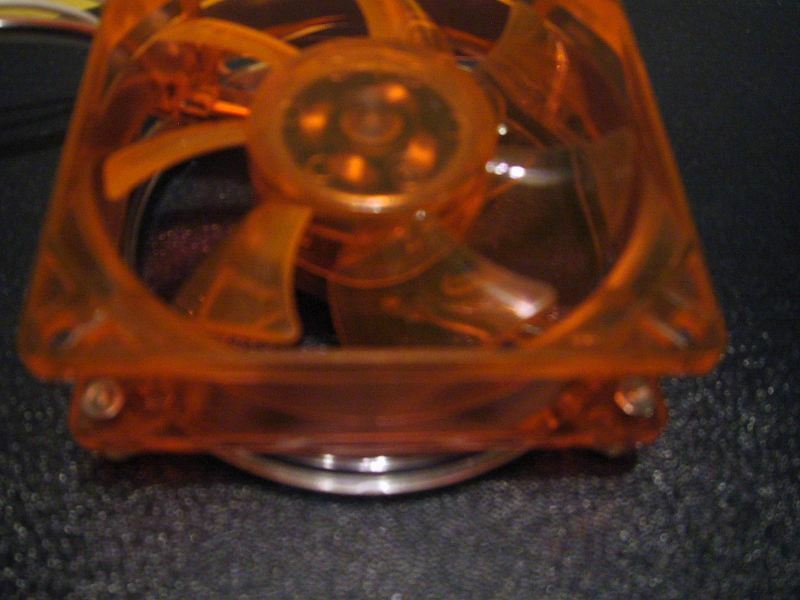 And more important it actually gave a good airflow, comparable or even better than most 80mm fans out there. 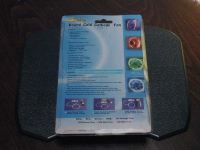 The other things I noticed were that these round cold cathodes are lots and lots better to make an UV reactive fan glow than a normal cold cathode because it lies on top of it and not just somewhere else mounted in your case, so it get's almost the maximum amount of UV light on it. 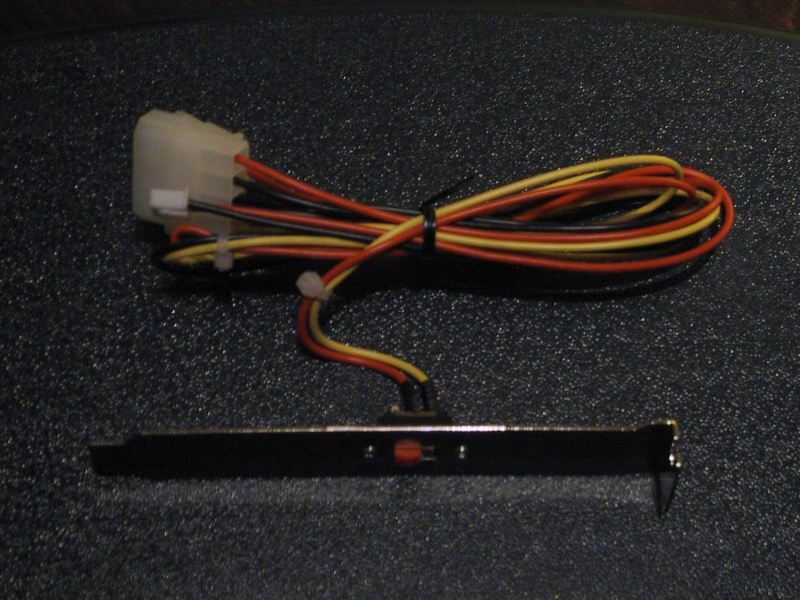 When you're only running the cathode and not the fan you'll notice that the Cold Cathode becomes hot, from 35°C to even 45°C, not really Cold Cathode eh?. But this isn't such a big problem because when I let the fan running the temperatures of the Cold Cathode lowered to 25°C, just a few degrees more than the room temperature. 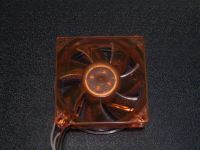 One of the only big problems that I could find was that these round cold cathodes are a few millimeters bigger than 80mm fans. 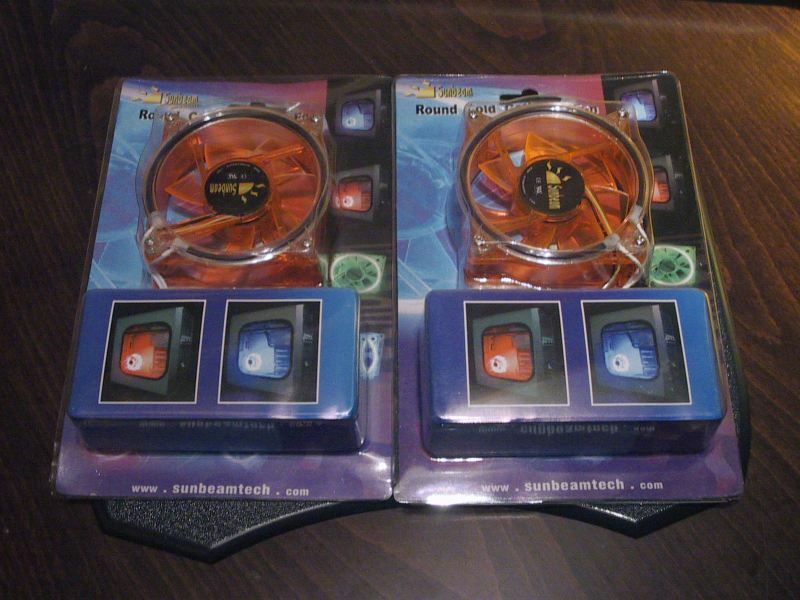 This can give you some mounting problems : First problem is that you can't mount 2 CCFL fans directly beside eatch other, and second problem is that it does not fit in the fan holders that you'll find in Chemning , Antec , ThermalTake , Chieftec,... cases! 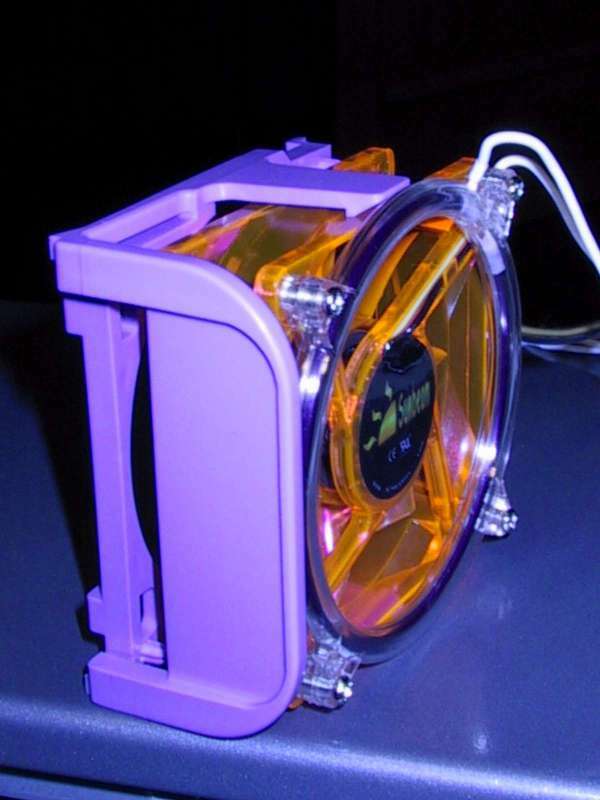 Now I'm going to test how good it cools, I mounted the fan as exhaust fan on the rear of my case with a room temperature of about 19°C.